Atletico Madrid are placing at the 3rd on the Primera League at the current moment, while they have played 33 matches so far. In this circumstance, Atletico Madrid will host league 5th place holder Villarreal at Estadio Vicente Calderon (Madrid), on this Tuesday, 25/04/2017. The 34th match of them at La Liga 2016-17 will be the 30th head to head encounter of Atletico Madrid Vs Villarreal since 1998-99. The first head to head encounter of the season, Villarreal won by 3-0 goals over Atletico Madrid at home. Last previous match was goalless drawn and previous match of last one won by Villarreal by 1-0 goals. All over in last 5 head to head Atletico have only one victory and Villarreal won 3 matches and rest one was drawn. Overall in 29 matches, Atletico Madrid won in 11 and Villarreal have the same number of Success. Also having 7 drawn for both team. 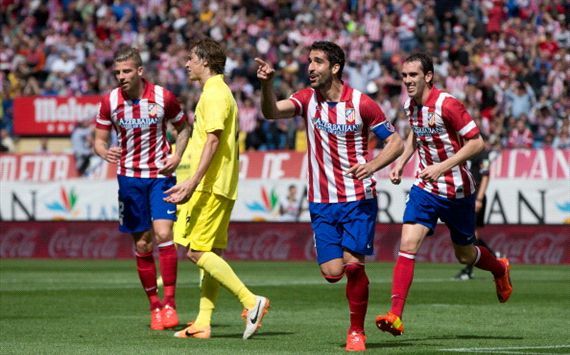 For the 3rd place at La Liga Atletico Madrid have 20 wins out off 33, drawn in 8 games and lost in 5. But Atletico are the best defending team in la liga so far. Villarreal have 16 wins, 9 drawn and 8 loss for their 57 points and 5th place. And with just 27 goal conceded, they are the second best defending team after Atletico.